"If you're used to talking, it's awkward not to talk," he said. 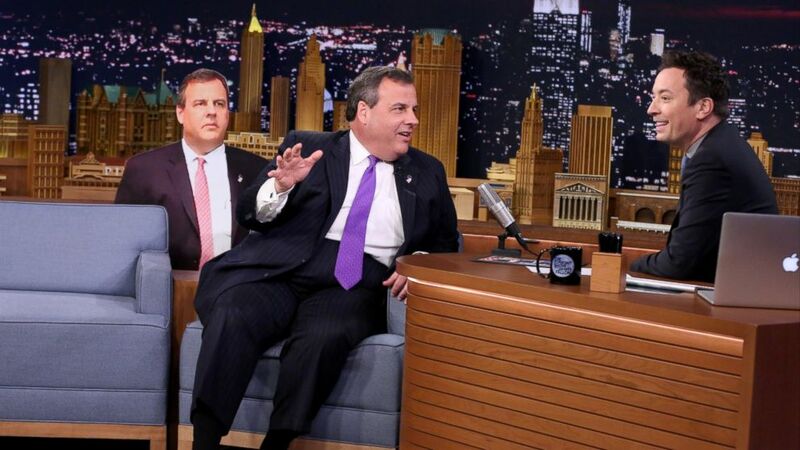 camera (Andrew Lipovsky/NBC/Getty) New Jersey governor Chris Christie during an interview with Jimmy Fallon on April 1, 2016. During an appearance on "The Tonight Show Starring Jimmy Fallon" Friday night, Chris Christie explained his seemingly stoic demeanor during a press conference with Donald Trump last month in Florida, which lit up the Twittersphere with jokes claiming he was being held hostage by the GOP front-runner. "I saw you standing behind Trump on Super Tuesday and you looked like you were having a blast," Fallon sarcastically said to the New Jersey governor. "Were you being held hostage at this time?" Christie, who entered the GOP presidential race himself but bowed out in February, responded, "No, no, no. You know what? This is what you would look like if you were standing behind Jay Leno when he was doing his monologue...If you're used to talking, it's awkward not to talk." Fallon also asked Christie, 53, why he is supporting Trump over Ted Cruz or John Kasich. "Because he's better than them," he said, without elaborating. Christie also jokingly responded to a question about being Trump's running mate. "I have a hard time believing that anyone would ask me to be vice president," he said, pointing to a cardboard cutout of himself next to him. "When you're vice president, that's basically what you do, right?" Looking ahead at his post-governor plans, Christie said, "When the governor thing is over, I'd maybe like to play tambourine in The Roots," referring to the late-night show's house band.